Fan horn is made of ps. Custom logo can be filmed or printed. 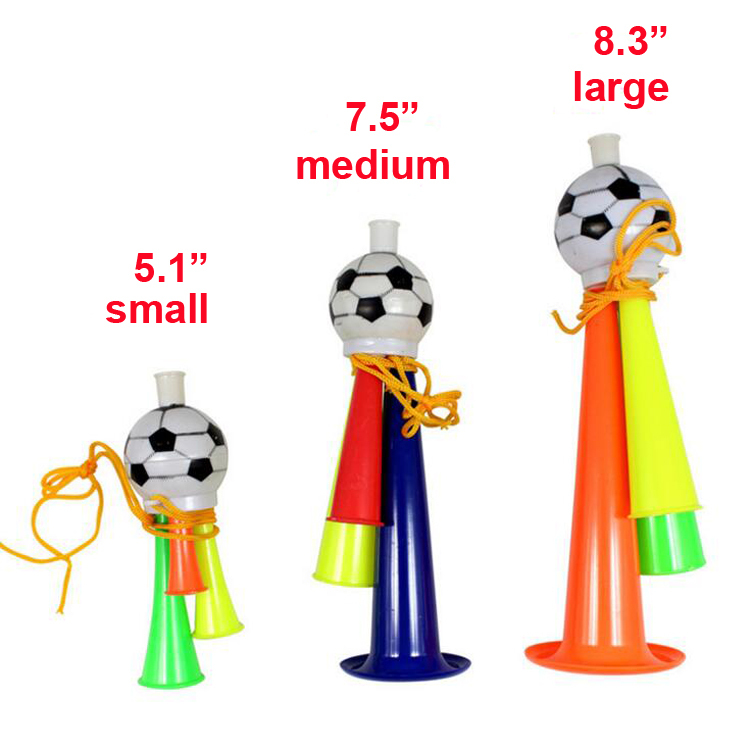 Different colors and sizes are available.It is great for trade show, football match and so on. Price includes 1 color 1 side 1 location with film. Product Colors: Blue, Red, Black, Orange, White, Pink, Green, All colors. Package: 10pc/Ten pouch, 480 pcs/ctn, 25 lbs/ctn.